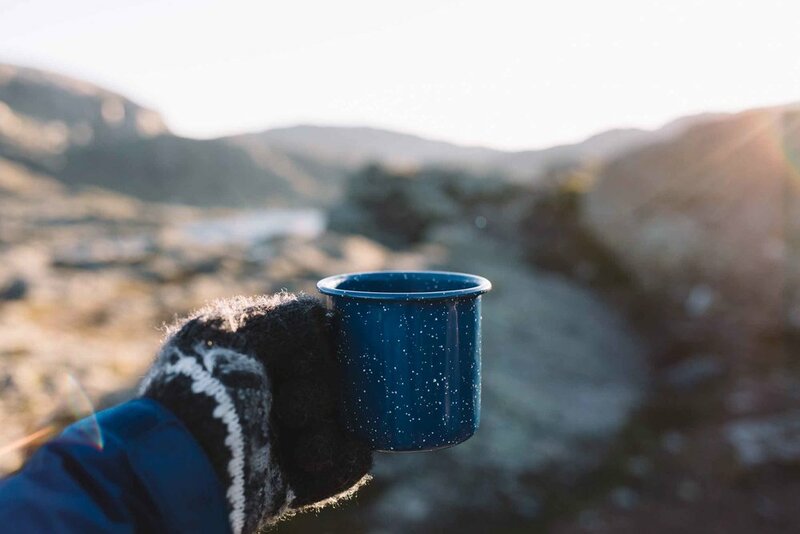 Take a look below for a recap of my own experiences on these three hikes as well as some advice on what to know before you go. We started this hike at around 7pm and got back to our car just after dark, about 3.5 hours total. I recommend doing this hike either super early in the morning or late in the evening, otherwise, you'll be hiking among herds of people and fighting the crowd to get your photos and enjoy the view at the top. You can also turn this hike into a backpacking trip and camp at or around the summit. We didn’t end up camping on this hike and I was definitely jealous when I saw a group of people pitching their tents. The simplest way to get to the Preikestolen trailhead is by ferry. From the city of Stavanger, head down to the ferry dock and look for the lane marked toward Tau. Once on the ferry, you’ll need to go upstairs to pay for your ticket. Sometimes ferry crew will come to your car to collect payment before boarding, but that wasn’t the case for us. When you get to Tau, you’ll see driving signs directing you toward the trailhead. Keep in mind that you’ll have to pay for parking during the hike as well. 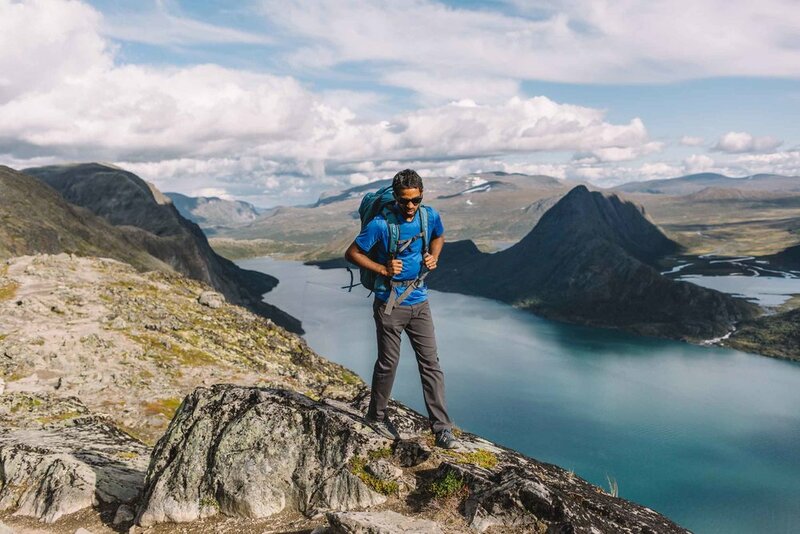 Besseggen Ridge is one of Norway’s most popular day hikes, and understandably so. 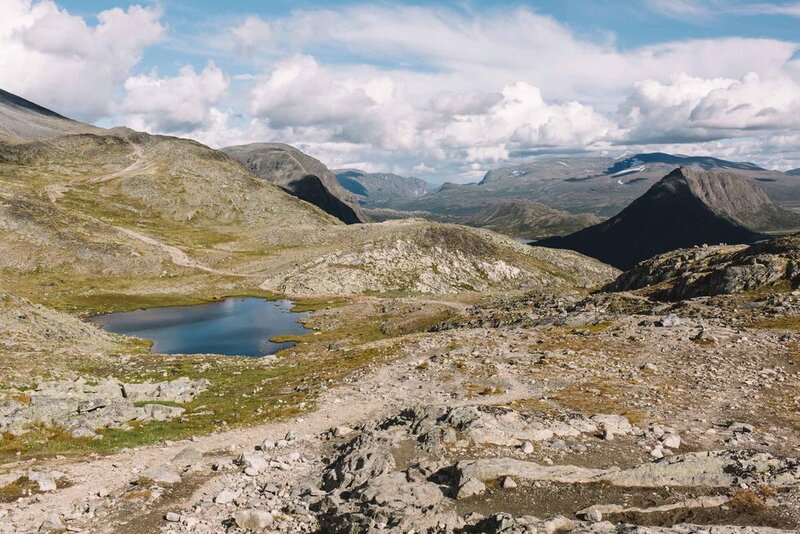 Climbing 2,500 feet above Lake Gjende, the views on this trail are unlike any I’ve ever seen. I had goose bumps pretty much the entire time we were on the mountain, and not just because it was chilly. This ridge hike has it all: a ferry ride, leg burning climbs, fresh water streams, a unique rocky landscape, turquoise lake views, mountain and glacier views, and more. Honestly, it’s hard to describe how epic this hike really is except to say that it was my favorite of the three. Lake Bessvatnet, which is the halfway point of the hike. You'll have to be creative about where to pitch your tent (be prepared to sleep on some rocky ground), but we were able to find a spot that looked straight down the valley onto Lake Gjende. It took us another three hours of hiking to get back to Gjendesheim the next morning, but we spent a good long time drooling over the view along the way. Oh, and we saw maybe 10 other hikers total the entire time. It was like we had the entire mountain to ourselves. Besseggen is intended as a one-way ridge hike and involves taking a ferry. You’ll park your car at Gjendesheim (for a fee) and from there you have two options: 1) Take the ferry to Memurubu and hike back to Gjenesheim, or 2) hike to Memurubu, and ride the ferry back to Gjenesheim. If you hike from Gjenesheim to Memurubu, make sure you completely understand the ferry schedule beforehand so you don't accidentally miss the last boat of the day. 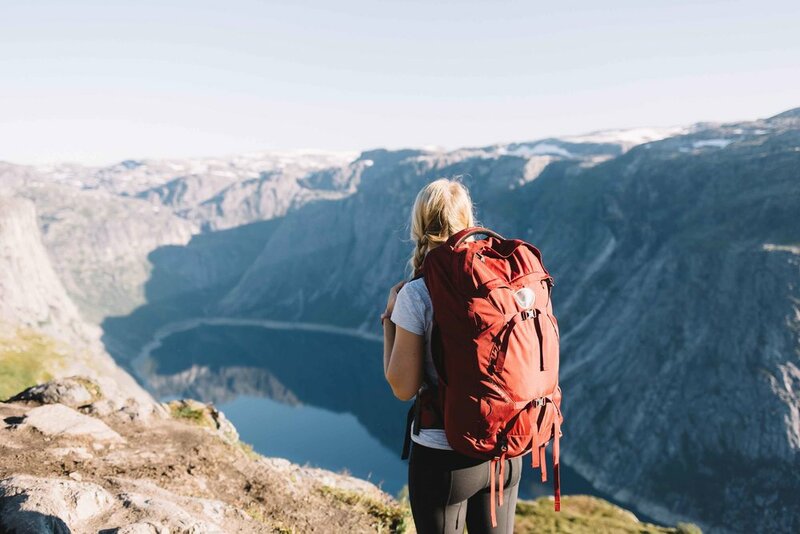 Trolltunga (translated to “troll’s tongue") has always been the hike...the one that I had to conquer before leaving Norway. This tongue shaped rock shoots out some 2,300 feet above a gorgeous blue lake with Norwegian mountains and glaciers in the distance. It’s spectacular. Brave souls can walk out onto the rock or, if you’re crazy enough, stick your legs over the edge. Then again, I think you have to be a bit crazy to do this hike in the first place, because man, it’s challenging. I remember laughing a bit hysterically when we reached the 1-kilometer sign because it felt like we’d been hiking for so much longer. What can I say, when you’re faced with 10 more grueling kilometers, laughing is the best way to keep from giving up, right? 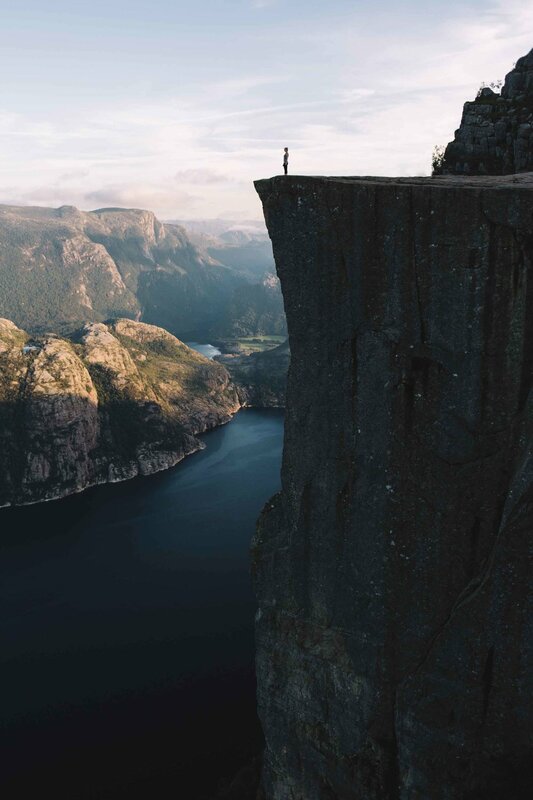 Thankfully, there are some pretty amazing views along the way to keep you distracted and, of course, an even better view at the top that makes it all worth it. At just over 14 miles and 2,950 feet elevation gain, this hike is no joke, but don’t let that discourage you. We saw every kind of person on this hike. I’m talking old, young, and people in Vans skate shoes. If they can do it...heck, if I can do it, you can do it. The biggest piece of advice I can give you is to cover the trail over two days. 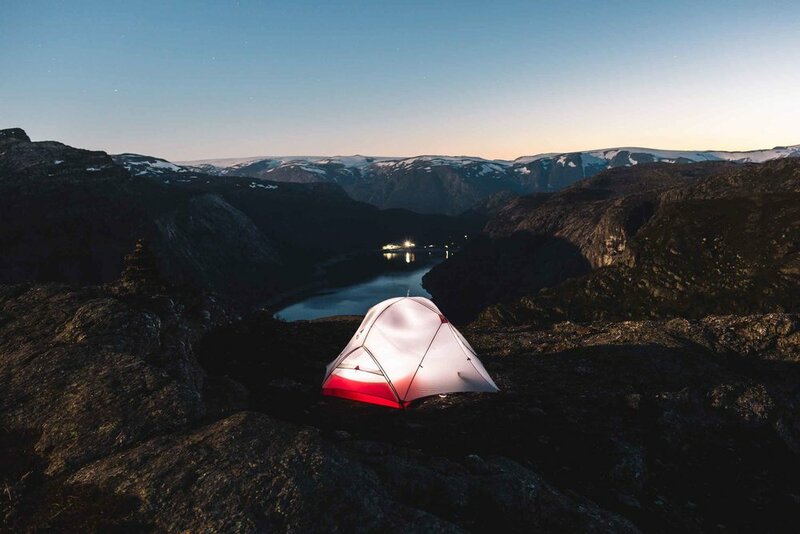 Spend your time getting to the top, camp overnight, then head down the next morning. Yes, it does mean hauling your camping gear up the mountain, but it’s worth it for a number of reasons. 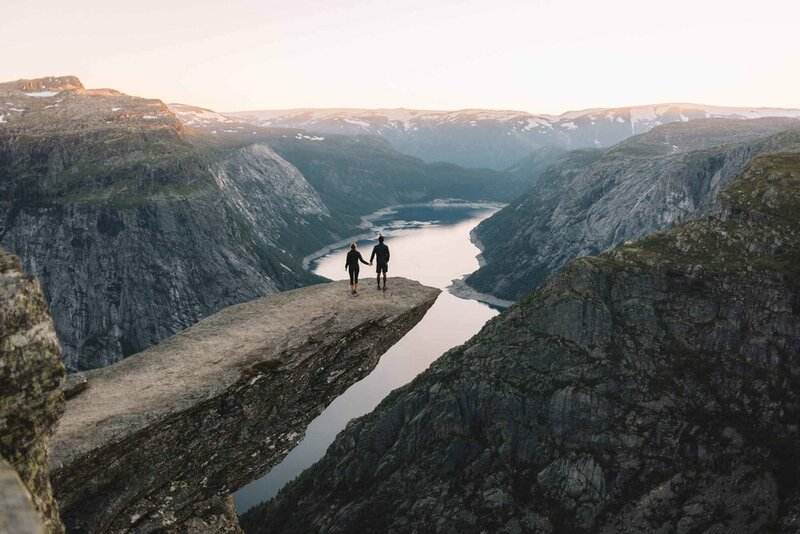 For one, you get to see Trolltunga at the best possible times: sunset and sunrise. More importantly, you’ll avoid waiting in a 45-minute line just to walk out and take a photo on the rock (seriously guys, we got to the top and walked right out, no line whatsoever.) Lastly, you get to split the mileage in half. Seven miles a day doesn’t seem as daunting, right? If you don’t camp, you need to start very early. Expect your total time on the trail to take 9-12 hours. Getting to the trailhead from the town of Odda is fairly straightforward. However, take note that there are two parking lots for the trailhead. The lower parking lot (Tyssohallen) is over three miles away from the upper lot (Skjeggedal). If you park in the lower lot, avoid hiking the road up to the trailhead as it’s steep, narrow, and a bit dangerous. Instead, for a small fee you can take a bus from the lower lot to the trailhead. The bus comes by every 20 minutes or so and you can just hop on and pay by either cash or card. 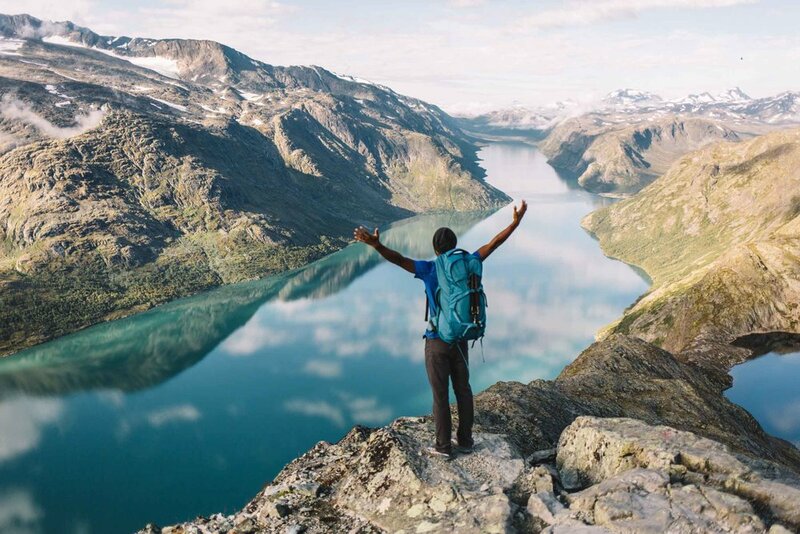 It’s impossible to perfectly describe just how majestic and thrilling it is to go hiking in Norway, but I will say that you won’t regret it. These three bucket-list worthy experiences are some that you just have to experience yourself.